With unlimited design possibilities, our custom binders and packaging will add a level a professionalism and polish to your presentations. We can produce your custom presentation piece in film laminated paperboard, vinyl, poly or turned edge construction and tailor it to your requirements. 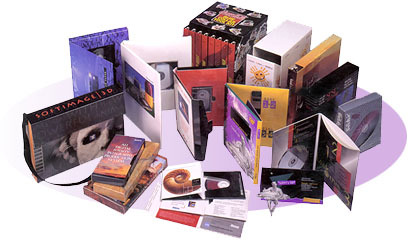 Corporate Packaging offers the widest range of raw materials in the industry and unlimited custom decorating possibilities for a Total Package. If it's innovation you're looking for, our in-house product development team will assist you from concept through fulfillment. This site features images of examples of our printing capability and are not for sale. Corporate names and logos appearing on products do not necessarily represent an endorsement of these products.